Technostamper Sketch Challenge of the week. I haven't done one of these in weeks, I love them but I seem to run out of time. So this week I did this one before doing the SCS one, sorry SCS! 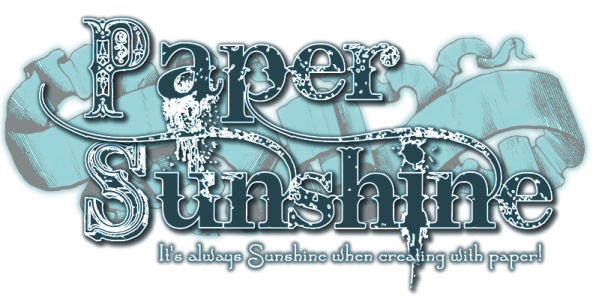 Not that anyone would notice :) I love this designer paper from Stampin Up, ok I love all the designer paper I buy. However I just recently received some of the lilac colored card stock from Dottie from WishRAK on SCS so I can use this paper now. I kind of went nuts with the flowers. I punched them, wet them and crinkled them then layered them and put a little pink jewel in the middle. Then it seemed to need something more so on went the butterflies! If you can tell the background is embossed with one of the Stampin Up embossing folders, I have to say and since I am not a demo I can, the Cuttlebug ones give a better impression. I think it is because they have both the emboss and deboss sides and you put the paper between. So I like them better just like I like the Nestabilities dies better than using punches. Just personal preference. (Not considering cost here.) That's my card for today, posted and made on the same day! Awesome card, those flowers are gorgeous!!! Wowers! 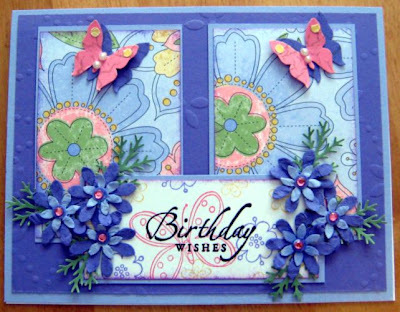 What a beautiful card, those flowers and butterflies are fabulous. Great job on the sketch challenge! Thanks for playing. Hope you come back and play again next week! Beautiful! Your flower and branch punches create a gorgeous bouquet and the color combo is stunning! !